Checklist: Are You Ready for iPads In Your School? 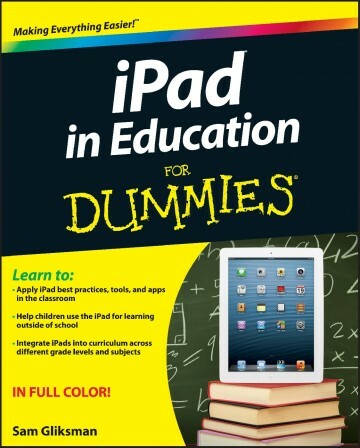 The following is the third of a series of excerpts from Gliksman’s book iPad in Education for Dummies. It seems that every school is considering purchasing iPads these days, and Apple has reported that iPad sales to schools are currently outselling MacBook sales by a very large margin. However, the rush to purchase iPads often precedes the careful planning and preparation that’s so crucial to their success as educational tools. Technology alone is never the answer. Instead, iPad use needs to be integrated within a holistic approach to 21st-century education that encompasses a thorough and ongoing review of the skills and competencies required in our rapidly changing society and the educational processes that best help students acquire them. Well-planned technology deployments can be tremendously successful and transformative for schools and students. In this chapter, I list ten vital components of a successful iPad implementation. Do you have adequate incoming Internet bandwidth to connect all the devices and use them at the same time? Remember that you may also need significant upload bandwidth as students start to create and deliver large media files. Is your wireless network robust enough to manage and distribute a strong, reliable wireless signal all around campus? Do your classrooms have safe, secure locations to store iPads? This is the elephant in the room — the most critical question that is rarely discussed and evaluated from an educational perspective. It’s imperative that the entire organization be on the same page. That requires a clearly communicated explanation of how iPad use complements your educational mission, which then needs to be clearly communicated to all the various constituent groups, including teachers, students, parents, directors, and administrators. There’s a natural inclination to stay in your comfort zone. Many teachers, especially older ones, prefer to stick to the methods they have always used in the classroom. An iPad program should take full advantage of the educational potential of the technology and be designed to address 21st-century learning objectives. That means integrating multimedia, communication, collaboration, project-based learning, and more. What point is there in purchasing expensive technology and then using it to reinforce outdated pedagogical practices such as frontal lecturing, content delivery, and drill and practice? Which responsibilities and processes are in place for buying and deploying apps? How will you decide what apps to buy, and who will be responsible for the purchasing? How will you manage user profiles? What restrictions will you enforce? Will you have one common student profile or vary them by class or group? What are your processes for system and app updates and data synchro- nization? How often will they be done and by whom? Would you consider allowing your older students to manage their own iPads? Have you considered the risks versus benefits of such a policy? Where and how students will store and submit work? Will you use cloud services such as Evernote or Dropbox? Will you create and/or use a WebDAV server? How will you students submit digital work to teachers? How will you deal with instances of damage and theft? Will you buy insurance? Under what circumstances, if any, will students be held accountable? Has this been clearly communicated to parents through a Responsible Use policy? How do you plan to create and use e-mail accounts? Will students be given e-mail, and if so, at what age? If not, will the iPads have generic e-mail accounts to enable outgoing e-mail of content from students to teachers? Many laptop programs use network servers and domain logins that also set permissions. Laptops are controlled and administrators can often view screen activity. It’s important to remember that iPads are not laptops. There’s no login, and the ability to secure and control them is minimal. If you’re using iPads, utilize their unique assets. Look for ways to take advantage of their mobility, built-in camera, microphone, video, and so on. If monitoring and controlling activities are important criteria to you, it may be advisable to consider staying with laptops. You hear it all the time: “There’s an app for that.” One of the biggest mistakes teachers make is to constantly search for apps that directly address specific curriculum content — everything from 20th-century American history to the geography of California. Many great apps exist, but the real benefit comes from viewing iPads as tools that can be used as part of the learning process. Encourage students to create mock interviews with famous historic figures, explain scientific phenomenon with stop-motion animation, create podcasts for the school community, practice and record speech in a foreign language, create a screencast to explain a principle in algebra, and more. Given the opportunity, students will naturally gravitate toward creative and innovative iPad use if allowed to use it as a learning tool. You learned the value of sharing all the way back in preschool. Although it may be an important life guideline, you need to forget all about sharing when it comes to using iPads in school. 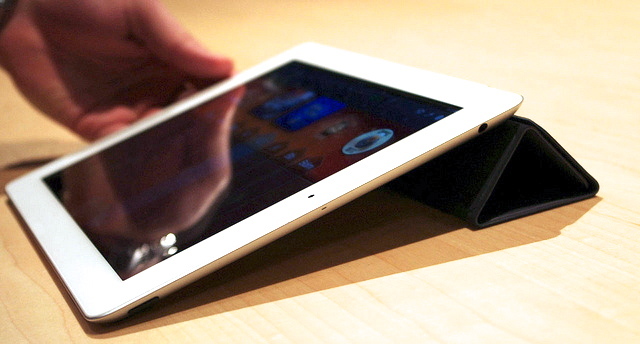 iPads are designed to be personal devices; you need to protect your user login and all your personal data and files. Sharing them will create huge privacy and security issues. I generally push for 1:1 deployment of iPads from 4th grade upward. If that causes financial concerns, you need to discuss those concerns and either scale down your deployment or consider an alternative approach, such as allowing children to bring their own devices to school — which comes with its own set of prob- lems, especially for families that cannot afford them. Sharing at upper grade levels, however, is not the solution. Deploying iPads is (I hope) a major step toward addressing the learning needs of 21st-century students. It also involves a major change in school culture. We’re all naturally resistant to change. Organizational change requires adequate training and support. It’s also important to stress that “training” doesn’t mean that one day at the start of the year when you bring someone into school for a half-day workshop. Schedule time for ongoing training ses- sions throughout the year. Develop teacher support groups within your school and with other schools, where teachers can exchange experiences, share their successes, and learn from each other. In other words, let them fly. Technology is most effective when used as a tool for student empowerment. Don’t expect to control every aspect of students’ learning. And you don’t always need to be the expert. Technology is their canvas. Give them the freedom to paint their own masterpieces. Just in case you have any doubt regarding my stance on the issue, I want to stress that I don’t believe that all education should revolve around technology use. This book is all about appropriate technology integration. Sometimes that means not forcing the issue. There’s no doubting the importance of using crayons and paints. Getting your hands dirty planting in a garden is an extremely valuable educational experience, and how can you ever replace the experience of having a teacher or parent read to a child? It’s crucial to use technology wisely and creatively. Sometimes that also means knowing when to put it away. Excerpted with permission from the publisher, Wiley, from iPad in Education For Dummies by Sam Gliksman. Copyright © 2013.